A South Carolina man was arrested yesterday after applying for a loan so that he could purchase methamphetamine, investigators allege. According to a police report, Grady Carson, 58, went to a Carolina Title Loans office in Spartanburg to secure a loan against his automobile. According to its web site, the loan company provides “fast cash to deal with an unexpected expense” and charges interest rates that begin at 96 percent. 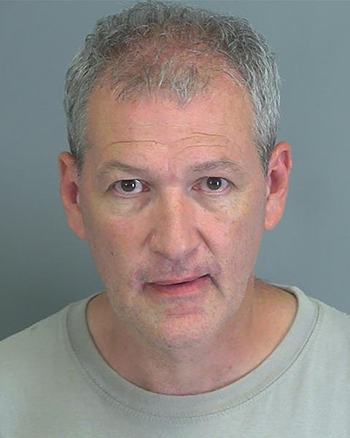 A Carolina Title Loans employee told cops that Carson--who was pacing as he filled out paperwork--told her he "needed the money to purchase meth." Since her manager was at another store, the worker “faxed a help letter” to the second employee, who contacted cops. Carson, seen above, was charged with narcotics possession and booked into the county jail. He was released from custody around 4:40 AM today.